It is with great sadness that we, the family, announce the peaceful passing of Charles “Chickie” Bennett on January 7, 2019, at the Cape Breton Regional Hospital with his loving family by his side. Born in Dominion, he was the son of the late Mark “Eddie” and Edith (Gardiner) Bennett. Chickie was a family man and loved spending time with his family. He was a coal miner for 36 years. In his younger years, he was an avid dart player and enjoyed many fishing and hunting trips with his brothers and son. He was an active man who loved spending time outdoors. Chickie loved listening to Newfoundland music while enjoying a Sunday drive and an ice cream. He will be greatly missed by all who knew him. He was a member of the Parish of St. Leonard. Chickie is survived by the love of his life for 53 years, Georgina. Together they made a wonderful life filled with great memories for their family. 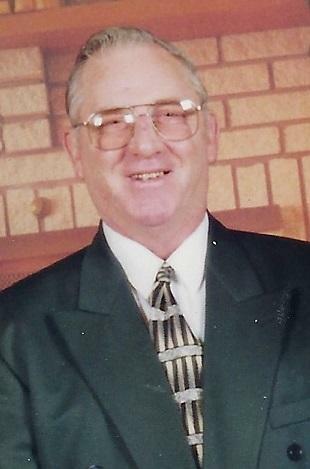 He is also survived by his daughter, Lynn (Steve) and son, Charles Jr. (Michele) along with grandchildren, Justin, Jessica (Keegan), Jarrett, Craig (Robin), Charlene (Jordan), Rebecca, Rachael (Josh), Mary Anne, Charles and a special great-grandchild, Joseph Thomas; brothers, Alex (Sonny), Robert (Florentine), Gregory, Michael (Bernadette), Jimmy and sisters, Joan, Jean, and Cheryl (Ronnie) along with a large extended family. He was predeceased by 2 siblings in infancy, his siblings Barbara and Raymond and a special granddaughter, Emma Grace. As an expression of sympathy, donations can be made to the Cape Breton Regional Hospital Patient Care Fund or the Nova Scotia Lung Association.